A member of Nelson and Colne College’s Business Unit has credited Accrington and Rossendale College for putting her on the path towards a successful career change. Sarah Hadcroft, 51, has switched from a retail manager position to an external funding and subcontracting role at Nelson and Colne College, and is in the final stages of completing a Level 3 Business Administration Apprenticeship alongside her current job. She praises Accrington and Rossendale College’s helpful approach three years ago in January 2016 for putting the wheels in motion, providing her with the opportunity to then apply for a job at Nelson and Colne College 15 months later in April 2017. Sarah said: “I feel I wouldn’t be in my current role at Nelson and Colne College and be in the final stages of a Level 3 Business Administration Apprenticeship if I hadn’t attended Accrington and Rossendale College in 2016. “The staff at Accrington and Rossendale were friendly and welcoming, and they pointed me in the direction of a Level 2 Diploma in Business Administration as an alternative. “It gave me the confidence that I can do this and achieve the qualifications I needed to fulfil the requirements on the person specification. 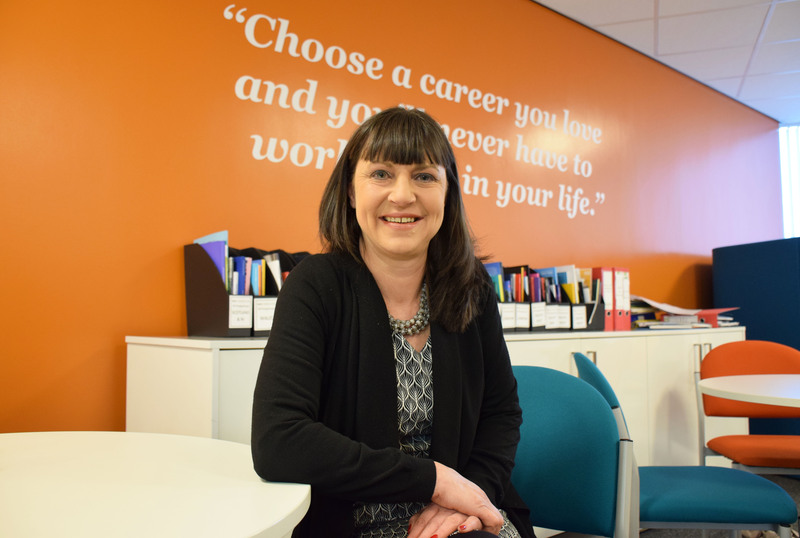 Since the merger of Nelson and Colne College and Accrington and Rossendale College in November 2018, there has also been the interesting twist of Sarah going from a student to a work colleague with her former tutors at Accrington and Rossendale College.